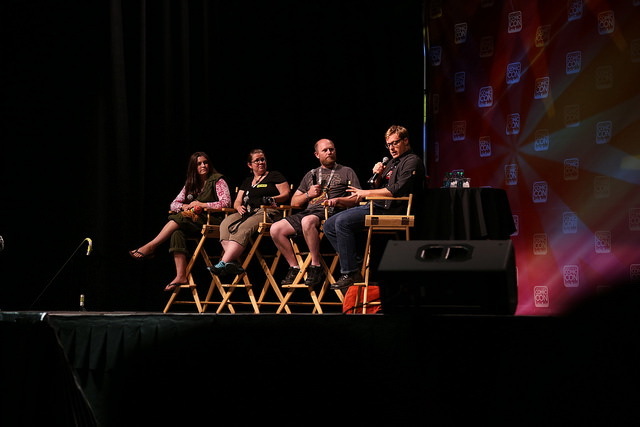 The Alan Tudyk spotlight panel was perhaps my most anticipated celebrity panel from Salt Lake Comic Con 2014. 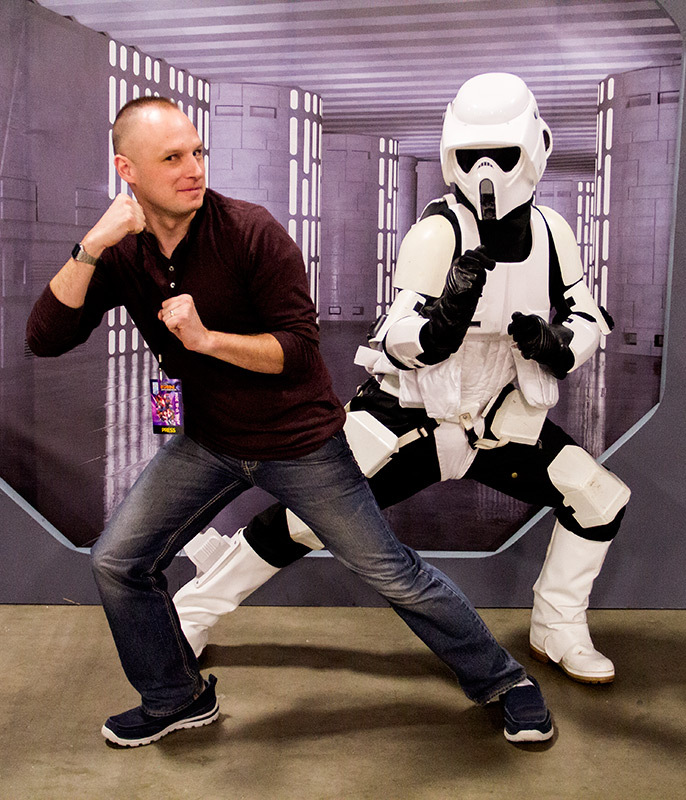 As a huge Firefly fan (along with most of the true geeks at Comic Con), I was thrilled to see him added to the lineup. He was also amazing during his run on Dollhouse and he voiced such recent characters as King Candy (Wreck It Ralph) and the Duke (Frozen). I’m happy to report that Tudyk did not disappoint. Much like the Bruce Campbell panel earlier in the day, Tudyk didn’t hold a typical question and answer panel that focused on his career. Instead, he would bring up members of the audience and ask them a question. They in turn would ask him a question, and then he would gift them something from his “bag of s#@&.” The gifts included hats and shirts from productions he had worked on, or memorabilia that had been given to him by other celebrities over the years (like a harmonica from John Poppa of Blues Traveler). He would sign each gift as well. Such an awesome souvenir for those people called up to the stage. Questions from the audience members that came up to the stage included the usual questions about behind the scenes moments from Firefly and (Spoiler Alert!) what it was like to play a serial killer on Dollhouse. 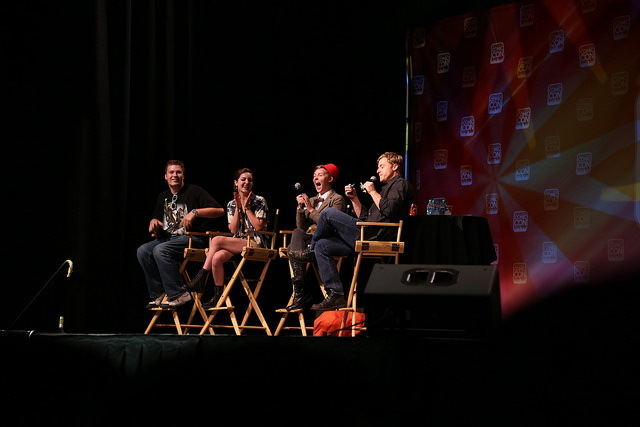 But Tudyk’s questions for those people were more interesting. Questions like, “What are the three most likely things you have stuck in your teeth right now?” and “What is the grossest thing you’ve ever seen?” Tudyk was incredibly entertaining and gracious and treated each audience member like a star on his panel. 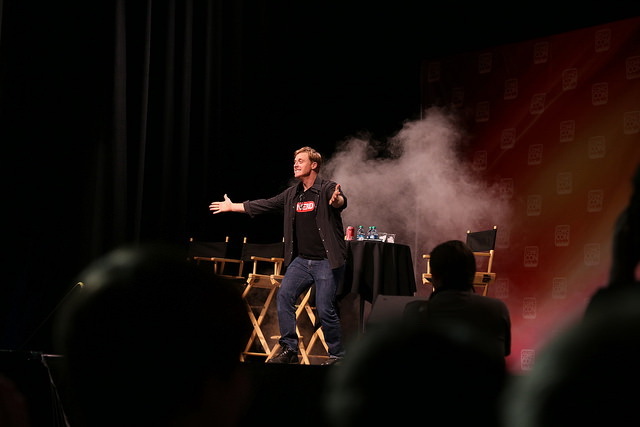 I love Alan Tudyk and hope to see him back in Salt Lake again.